(from Billboard Magazine, November 16, 2013) Florida Georgia Line was the artist development case study at the recent Billboard Touring Conference. The duo went from being unknown to having the longest running No. 1 of all-time on the Hot Country Charts and opening for stars such as Taylor Swift and Luke Bryan. 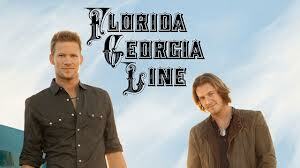 Florida Georgia Line’s Tyler Hubbard and Brian Kelly met through a mutual friend while attending Belmont University and began to write songs together. “The first time we knew we had something special was when we wrote a song together. We loved writing songs and had the same passion,” says Hubbard. After graduating the two began to put their focus entirely on the band. The Big Loud team invited the band to write songs with Wiseman, and at England’s insisting Kevin Neal, President of Buddy Lee Attractions, got the band a gig. The duo was put on the bill with Colt Ford at the Lincoln County Fair. Impressed by the team and the duo’s work ethic, Neal made the decision to work with them that weekend. With Neal’s help the band opened for Cold Ford on the Country Throwdown tour which lead to opening for Luke Bryan. Next year the band will tour with Jason Aldean and headline shows in Western Canada where their album went six-times platinum.